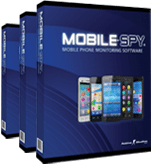 Mobile Spy is a revolutionary way to monitor a user’s activity on a compatible device. You can purchase the Mobile Spy software for as little as $99.97 per year. This is a small amount to pay when trying to get the answers you need. This software offers the highest quality features available on the market.